China is currently the world’s leader in solar energy, so it’s only logical for U.S. companies to gain an edge by collaborating with the powerhouse nation. 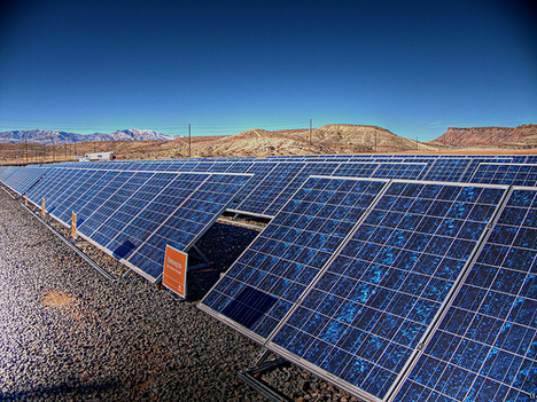 Recently US-based First Solar Inc. announced that it will join forces with a major Chinese state-owned utility company, beginning construction on what’s anticipated to be one of the world’s biggest solar power plants. Plans for the plant, which will be built in northern China’s inner Mongolia region, were first announced in 2009, but construction was just confirmed to begin this year. The delay was due in part to a failure to approve the pre-feasibility study in a timely manner, and regulators further delayed progress by failing to give the green light to higher payback rates for solar-generated power. The lead partner in the plant’s development, China Guangdong Nuclear Solar Energy Development Co., will hold a majority stake in the facility while First Solar’s details are still being negotiated. The massive solar plant will generate 2 GW when it is fully operational and it will cover 64 square kilometers (25 square miles). The plant will be built in several stages, with the first installation capable of generating 30MW. Once it is finished, the entire plant will generate the energy equivalent of two coal-fired plants. First Solar’s president, Bruce Sohn, said their Chinese partner would provide the engineering skills and influence within China’s energy market. He tells the Associated Press, “We see China Guangdong Nuclear as being a very strong, viable and important partner.” First Solar, who are based in Tempe, Arizona, are expected to produce the plant’s thin-film power panels. The two companies will share expertise in building the plant, but First Solar is not required to turn over solar panel technology. “In terms of who we selected, absolutely it was our choice,” said T.K. Kallenbach, First Solar’s executive vice president. “We were looking for people who were the best match for us, and China Guangdong Nuclear was that match.” China is a world leader in sheer solar capacity, and the U.S. is going to have to work hard to catch up, but it is good to see U.S. firms gaining as much experience as possible. When it is complete, the Chinese power plant will be capable of powering 3 million homes. China is currently the world's leader in solar energy, so it's only logical for U.S. companies to gain an edge by collaborating with the powerhouse nation. 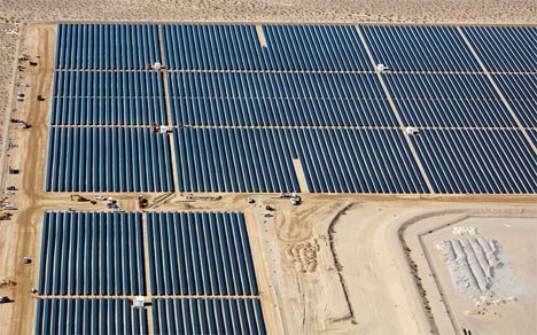 Recently US-based First Solar Inc. announced that it will join forces with a major Chinese state-owned utility company, beginning construction on what's anticipated to be one of the world's biggest solar power plants.